Demolition of the University Apartments took place in early January. After Hurricane Florence tore through UNC Wilmington in mid-September, repairs and construction commenced on several buildings around campus. Much attention has been paid to the reconstruction on the University Apartments in recent months, which were demolished ahead of schedule in early January due to outstanding damage and will be replaced with new housing. 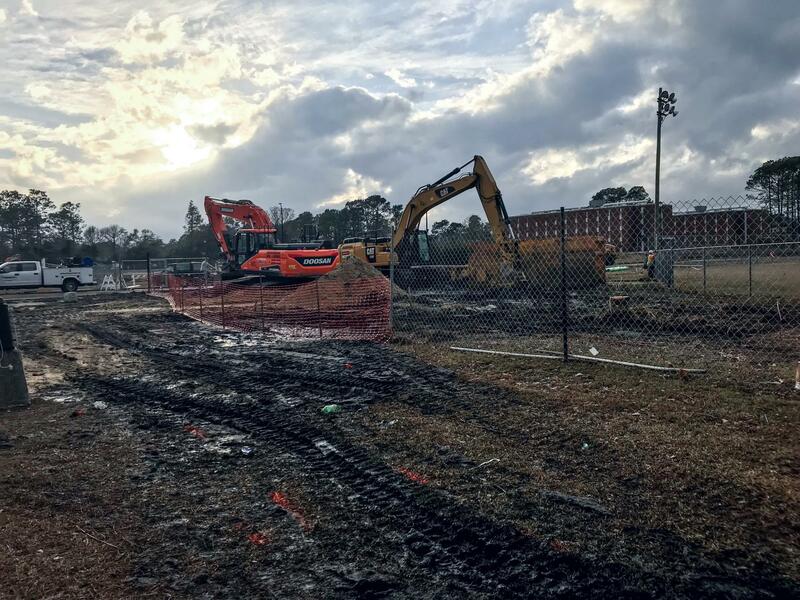 Peter Groenendyk, the director of UNCW Housing and Residence Life, answered a few questions regarding reconstruction in the area. When asked about the model for the new housing, Groenendyk explained a rough outline. “A group of students opted to find housing on their own off-campus,” he said. Students who had been living in hotels during the fall semester were moved back on campus for the spring. Groenendyk also gave an update on the timeline for moving into the new housing area.